Headed to Target? 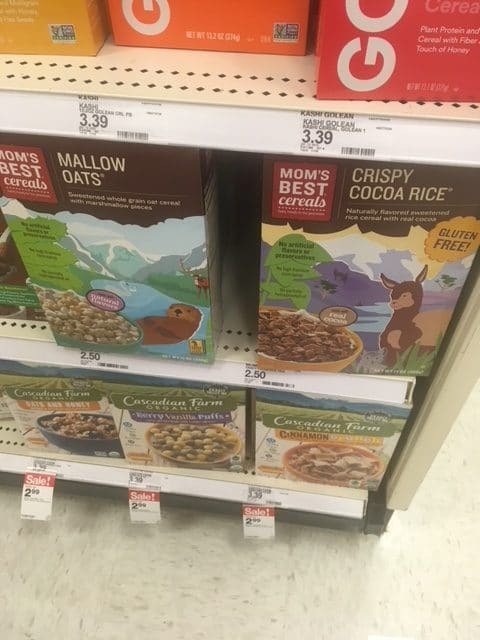 Here’s a roundup of this week’s in-ad natural and organic deals you can find at Target! I’ve also included any matchable coupons and rebates. Remember, you can stack Target store coupons, Target Cartwheel coupons, manufacturer coupons AND rebates together on just one product, so it makes for some hot deals! $4.50 after sale and coupons, so just $1.13 a box! $10.10 after coupon and gift card, so like paying $5.05 each!